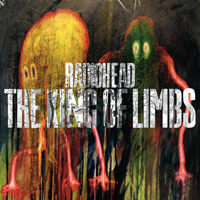 Conspiracy theories aside, people were rightfully surprised when Radiohead’s The King of Limbs emerged at a slim eight tracks with no follow-up EPs or b-sides — something the band had never done in its two-decade history. But Radiohead says after a Record Store Day single, there’s nothing left in the can — nothing totally finished, at any rate. “There are [other] songs that we have started, that we never finished, but there’s not like seven or eight finished songs waiting in the wings to be released now, or in the autumn, or something… When we start a new record, we tend to start afresh. It’s kind of an evolutionary thing– only the fittest survive,” Ed O’Brien told BBC6 (via Pitchfork). Luckily, The King of Limbs is really great, so we can probably make do.